Some important, two-pronged Grey Lady news this afternoon from Andrew Beaujon. 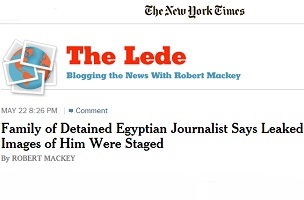 The last posted item to The Lede is dated May 22, a gap that reflects editor Robert Mackey’s move to the paper’s foreign desk. Read Beaujon’s full report here.